This pizza box is one of my favorites to make! I sure love yours! The way you decorated it super cute!! Love it! My first few boxes didn't turn out half so well! What a great project Mo! 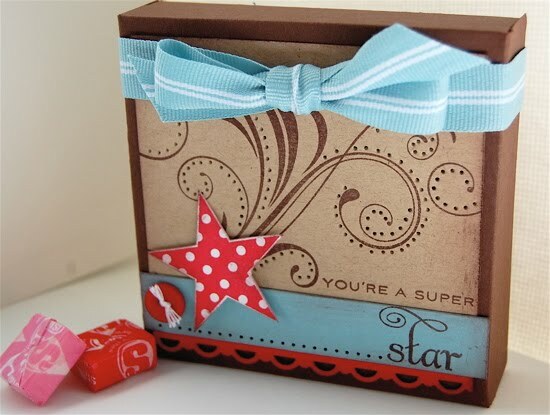 LOVE your finished box - that would make a great gift filled up with some goodies! I finally decided to get my act together today and visit your blog! Big hugs! You did an awesome job, yet again! This is gorgeous! I love how you decorated that box! Super cute!